I have been to the Greek mainland as well as several islands, each place with its own atmosphere and highlights. This year my best friend and I decided to give Corfu a try. Corfu is one of the larger Greek islands just off the north coast of Greece, close to Albania. Corfu has an interesting history having been occupied by Romans, Venetians, British and French before becoming a part of Greece. The empress Sisi had a summer palace on Corfu and it is easy to see why. Due to its location, the island remains green year round. An exception within the Mediterranean climate. The island is filled with lush nature and perfect beaches. Tourism on Corfu was booming ever since the 1920′s, but it has died down in recent years. You will now mostly find Russian and Italian tourists as well as drunk British teenagers (but luckily only in Kavos). As a result, the island now has an air of faded glory, with boarded-up hotels and restaurants. A real shame as the people of Corfu are incredibly kind and hardworking. – You are a couple: we only encountered couples and families during our two-week stay. If you are single and ready to mingle Corfu is not the place for you. 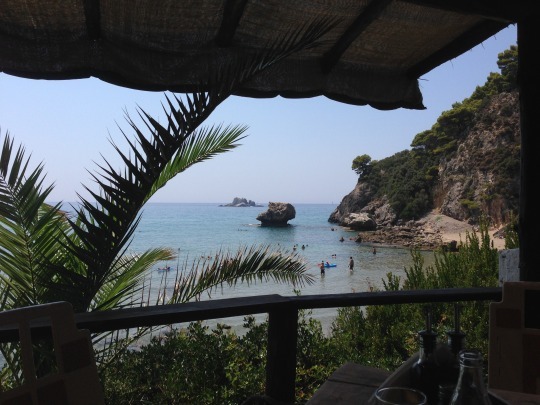 – You like to relax: Corfu is an island made for lounging in the sun. I love to spend my vacation unwinding on a beach with a good book, but if you are looking for adventure or parties, you won’t likely find it here. – Stay for two weeks max: we travelled around the island staying in Messonghi, Palekas, Paleokastritsa and Corfu Town for a total of 12 days. Which was plenty. 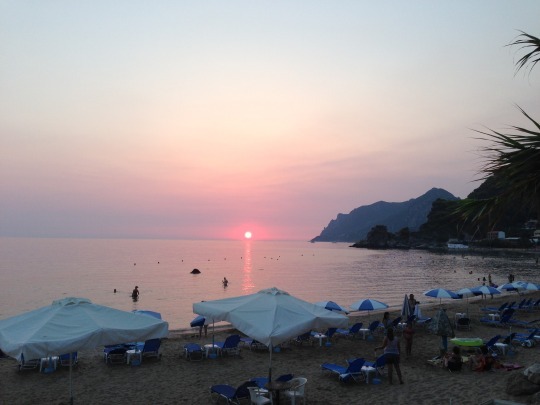 Corfu is not that big, so do not expect to be entertained here for weeks on end. All in all, I had a great vacation. We saw some beautiful sights, swam, tanned and relaxed. Had great food and met some lovely people. But I don’t think I will visit Corfu again.